2) The games are so much fun that no other experience this generation has provided something comparable to me. This includes technical innovations that actually affected me as a player. That being said, you might notice that this list will be incongruous with the order I’ve placed some of these games on my Top 5 lists. That’s because my Top 5 lists have you in mind, and I really wanted my Top 5 lists to represent both my personal enjoyment of each game and, at the same time, an insistence on my behalf for our readers to actually try and check out some of the games I featured on said lists. Now that you know my criteria for this list, it’s time to count down to my favorite game this generation! 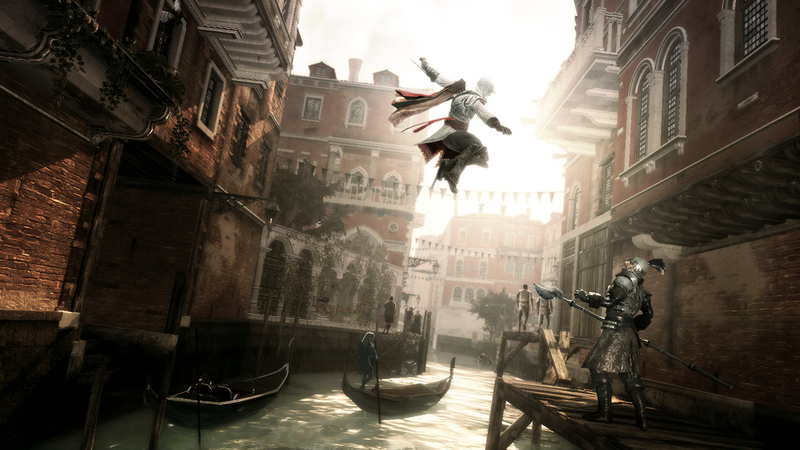 When the original Assassin’s Creed came out, we were all entranced by Altair’s ability to be able to climb any surface, provided that there was a ledge or overhang that he could grab and pull himself up to. But the one thing that the game was missing was variety and an engaging story that would really put the series on the map. That happened with Assassin’s Creed II, a game whose protagonist was so popular that Ubisoft decided to give him THREE games. Ezio Auditore da Firenze is a protagonist that needs no introduction on my part. When you began his journey, he was a brash, often naive young man who lived life to its fullest and loved his family the most. His fall from grace was quite tragic, and immediately pulled millions of gamers all over the globe to his plight and made us feel so much hate towards the Templars that they couldn’t be anything but evil. And while Ezio’s story was turned into a trilogy, Assassin’s Creed II contained a fantastic and complete game, with memorable characters like Leonardo Da Vinci and Ezio’s uncle Mario, collectible paintings that were representative of the era, a town mechanic that allowed you to accrue money hourly, and a journey that took you all the way to Rome to combat the evil Pope Borgia. Sure, this year’s Assassin’s Creed IV: Black Flag introduced many more features and enhanced the already existing gameplay, but it was Ezio’s personality and his journey that makes him the cream of the crop of Assassin’s Creed protagonists, and the things that were introduced in Assassin’s Creed II paved the way for future of the franchise. Any Game of the Generation list wouldn’t be complete without recognizing the impact Call of Duty 4: Modern Warfare has made in the industry. A labor of love by the team at Infinity Ward, this game single-handedly brought the entire genre of first person shooters to the modern era. It would also come to establish its now standard level progression system, seeing many different iterations from both Infinity Ward itself and Treyarch. 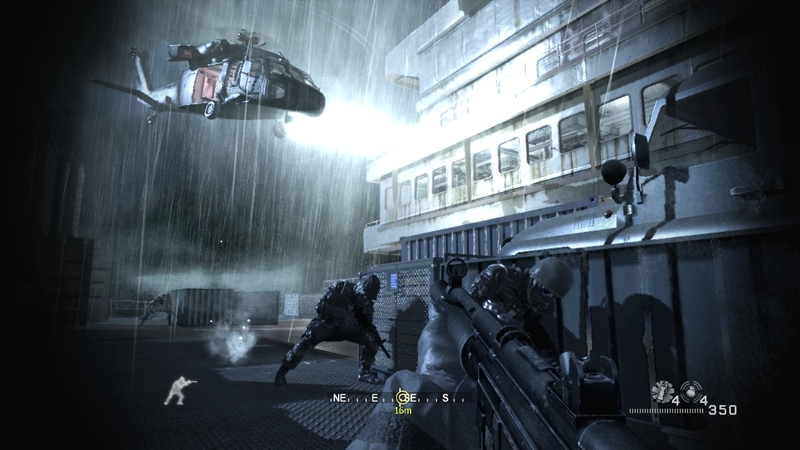 What characterizes Call of Duty 4 as separate from the many other games in the genre, other than the sheer fact that it’s the first shooter to do the modern setting right, was the fact that it gave us a feeling of how frenetic and scary war can be. Granted, several years later and gamers are somewhat desensitized by the whole thing, Call of Duty 4 brought a more human and personal attention to detail than the previous Call of Duty titles. Characters like Sgt. Price, Gaz, and Soap became characters that we related to, albeit in the heat of each set piece, and what little interaction you had with them was intense and action packed. Set pieces were what separated Call of Duty 4 from any other first person shooter out there, and every single first person shooter since then felt that they needed to deliver more of that kind of action. And yet, many missed the point: the set pieces heightened the action and increased the tension in the scene. They weren’t just there to be cool things to show off with their technology. But what I will probably always remember Call of Duty 4 for was the fun I had with playing with friends and co-workers on multiplayer. Call of Duty 4, for the short time it was at my work, delivered an exciting and fast paced multiplayer experience that felt great and it’s probably the game that introduced many players to the genre. 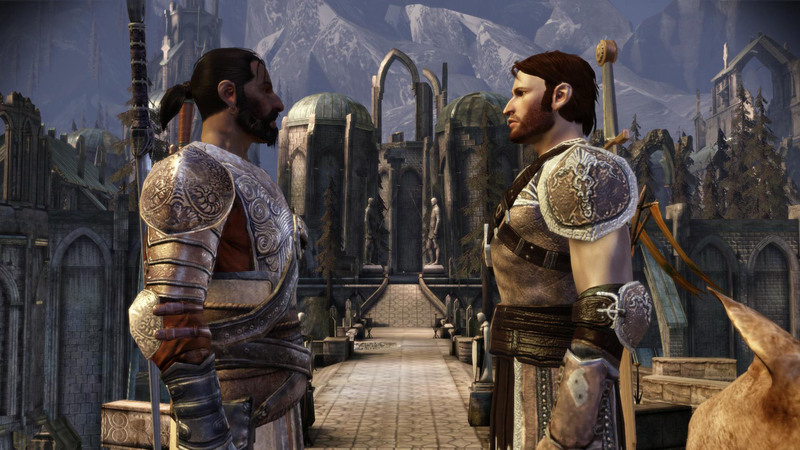 Dragon Age: Origins made this list because of one very distinct feature: Being able to pick your race, your class, and your origin, hence, the subtitle. It is still, by far, one of the most compelling RPG mechanics anyone’s dared to introduce during this generation and is the reason why its addition is noteworthy of being part of this list. I’ve played Dragon Age: Origins on practically every single platform it’s been released on: PC, Mac, Xbox 360, and PS3 and every single time there’s always things that I find interesting about it. And while I mostly got the games on each platform for an academic purpose (i.e. I was genuinely curious how different each version was), I had lots of fun trying to make different decisions and going through the game different times just so I could see the affects of my choices. But one of the reasons why this game is on this list is because of the way the console ports were handled. Edge of Reality, who I know from working on the Nintendo 64 port of Spider-man (my name is in the credits! ), handled the port in a very interesting fashion. Not only did they manage to leave every single aspect of the PC version of the game intact, but also managed to recycle a familiar gameplay mechanic that I could only describe as “inspired by the original Knights of the Old Republic.” Yep, KOTOR engine version 2.0 (KOTOR 2 doesn’t count) is actually used in a dark fantasy medieval RPG that has Tim Curry as one of the main characters. And it works! And in case some people want to fact check me, I know that Dragon Age: Origins on consoles wasn’t built on a next-gen KOTOR engine. “Rock Band 2! ?” exclaimed the entire Gamer Horizon crew. The curious choice of Rock Band 2 rocked everyone’s minds, especially since Rock Band 3 extended the franchise by adding a piano and allowing for harmonies. So why Rock Band 2? It all came down to how long I played and enjoyed Rock Band 2. You can tell me how amazing Rock Band 3 is for all its unique features, but the one thing that it didn’t have was the height of the music gaming genre’s hype. 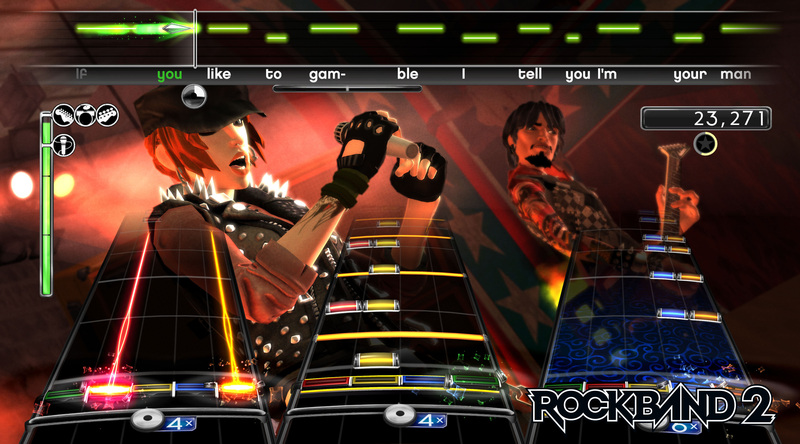 Rock Band 2 was released at a time when music games were a dime a dozen, and while it introduced an incremental upgrade to the series – online World Tour mode for one – we didn’t really care. The available list of songs continued to expanded well into the thousands, and the hours I spent playing this game in college was close to ridiculous. Every time we held a party, we would bust out the alcohol and Rock Band 2 and try our best to rock out even though we were inebriated at best. When Rock Band 3 came out, the music game genre was close to being proclaimed as dead, as evidenced by MTV selling off Harmonix, and only die hard fans of the series picked up Rock Band 3. Heck, I waited a whole year when it went on sale and THEN got the game! Rock Band 3 is an amazing game in its own right, but I’ll always remember Rock Band 2 as THE game I played when we hosted countless themed parties. I’ll be the first to confess that I’ve never played both the first and second Saints Row games. The series just sounded, to me at least, a knock off of Grand Theft Auto: San Andreas. 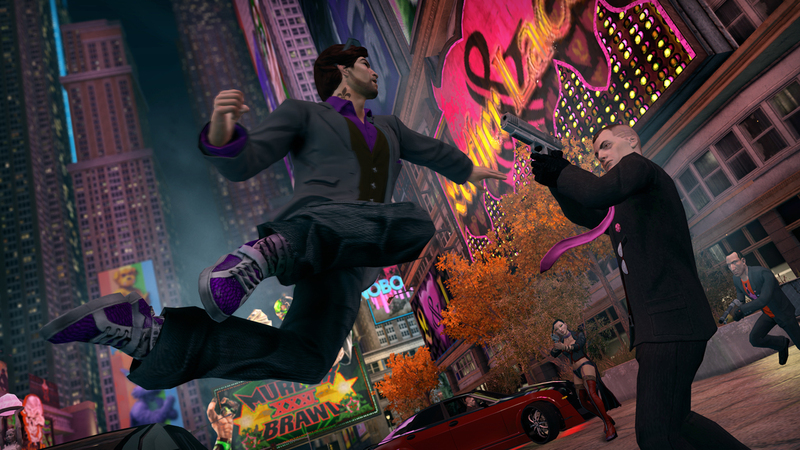 So what made me try out Saints Row: The Third? To be honest, the Giant Bomb guys talked about the game so much during their Game of the Year lists that year that I decided to try it out when it went on sale. I enjoyed the game so much that not only did I finish the game on one platform, but I double dipped on the game on another platform and finished it on that as well! What makes Saints Row: The Third so incredible to me, compared to all the other open world games I’ve played, is the sheer ridiculousness of both its plot and the world. Never have I enjoyed a game wholly based on the premise of delivering fun and funny experiences since The Curse of Monkey Island came out on the PC, and seeing this game contextualized as a parody and satire of “city based” open world games seems quite appropriate. That would’ve been enough, but the heights that Saints Row: The Third takes itself to is probably only rivaled by its sequel, Saints Row IV. If my criteria for Saints Row: The Third being in my list was because it was so crazy and so bombastic, why isn’t Saints Row IV on my list or, better yet, why hasn’t it replaced Saints Row: The Third on this list? One word: Restraint. While Saints Row IV fully embraced the established craziness and over the top nature of the series and literally flew with it, Saints Row: The Third had the right amount of humor, mission variety, and extremity that the elements became the glue that held the entire game together. It might not have the best gameplay in the entire series, but Saints Row: The Third executed each of its parts with such panache that it’ll be tough to top what they’ve achieved here. And no – more doesn’t necessarily mean better. If you’re a casual fighting game fan, I have a question for you: Have you ever done a link combo in Street Fighter IV? Do you even know what that is? And if you have done it, have you done it in battle when you actually meant to do it? If your answer was a resounding “No” to any of these, then you’ll understand why Mortal Kombat is in this list and not Street Fighter IV. I know, blasphemy, but the one thing that genre needed other than a new, easy to comprehend version of Street Fighter was a counterpoint that actually was willing to throw away its current conventions and start anew. 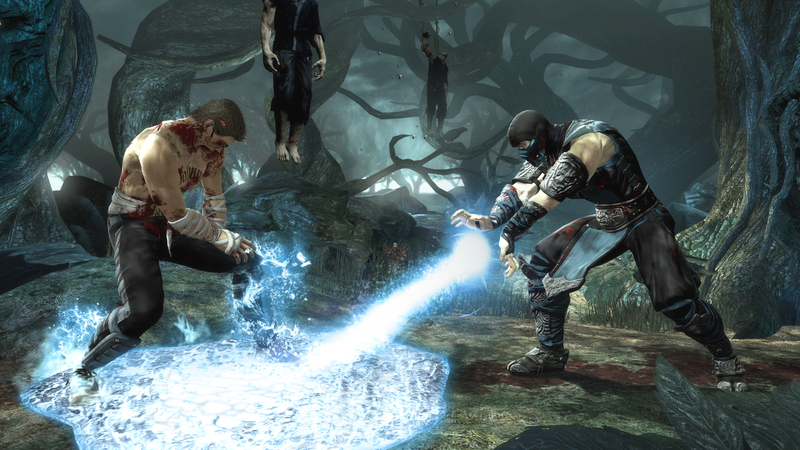 Mortal Kombat was exactly that game. Fighting game fanatics can talk to me about how it’s heavily imbalanced and what not and believe me – I’ve fought enough Kung Laos to say that if I got a dollar for every Kung Lao I fought both online and off, I’d probably be rich enough to put a down payment for a house. And before you ask in case you’re wondering, the answer is “Yes”: I did double dip on Mortal Kombat and I had it on both the 360 and PS3 and got the “playing 100 hours online” achievement/trophy on both. Before taking over the Need for Speed series, Criterion was responsible for a bunch of racing titles that fell under the Burnout series. The series dates back all the way to when Acclaim owned the company and it’s easy to forget that they created a middleware solution that was used by plenty of companies, including Rockstar, in the previous generation. So, for their first offering for this generation, they decided to up the ante. Up until this gen, the Burnout series of games was centered around point to point racing on challenging track layouts, meaning there’s several tracks created for the game and its your job to get to the finish line as fast as you possibly can with whatever means necessary. For Burnout Paradise, they decided to cram everything into one giant place called Paradise City. 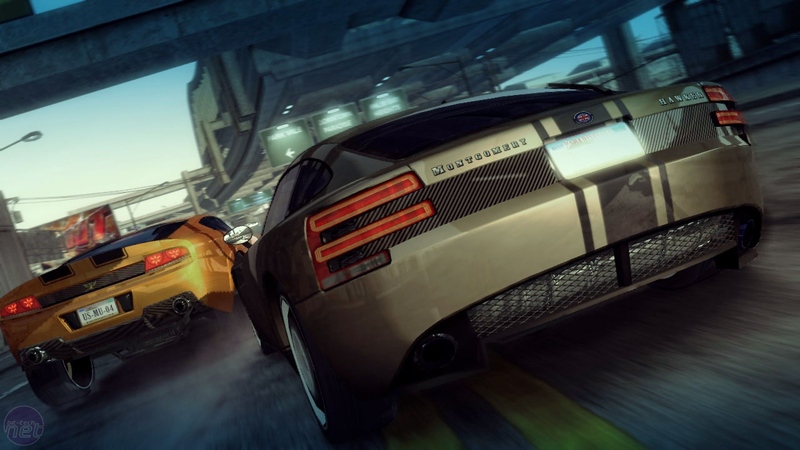 Paradise City’s construction isn’t just a marvel because it makes sense in the world of Burnout, but it also was one of the first games this generation to actually have built in telemetry. “What the hell is that? !” you may ask. It’s the ability for developers to be able to check on different aspects of the game without collecting any sort of personal information regarding the player… and by that, I mean address, phone number, and that sort. Telemetry is used to figure out if certain aspects of the game should be improved and whether or not they need attending. For the most part, the developers were very public about their telemetry. In fact, they shared it with their fans online freely and kept on improving upon the game they’ve already made. If you were one of the lucky people who started playing Burnout Paradise at its launch, you’ll know that the game has gone through a whole year’s worth of free updates, topped off with a brand new title screen and several new features, including being able to ride bikes… a first in series history! Don’t get me wrong: I absolutely love the work that Criterion’s been doing with the Need for Speed series. But Burnout Paradise feels like a complete package. The things they crammed into that game during its full year of free updates, coupled with some awesome show cars that are just fun to drive, made the game an amazing investment. And, before you ask, yes… I double dipped on this game too. Recognize a pattern here? When the first Uncharted game was released, I thought of it as “Gears of War with an engaging story.” It featured a similar cover system that could be found in Gears of War, in addition to platforming mechanics that could be found in the Tomb Raider series which, to be fair, was few and far in between at the time. 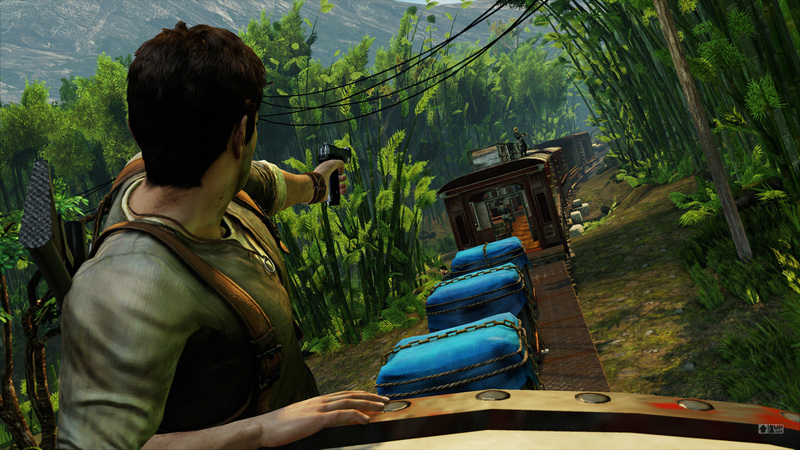 Uncharted 2: Among Thieves is everything the original Uncharted was, but tons better. It had great action scenes, fantastic set pieces, gorgeous environments, memorable characters, and incredible locales that really captured the imagination. I mean, who could forget the scene where you had to basically leap frog from one truck to another as each of them began to explode one by one? Or the scene on the train where you had to both use the passenger part of the train AND the roof of the train to avoid opponents AND get to the front, WHILE AVOIDING obstacles that you would only encounter by being ON TOP of the train INCLUDING a merciless HELICOPTER!? Needless to say, Uncharted 2: Among Thieves is a marvel of technology, gameplay, and graphics that shouldn’t even be running on current gen consoles, but it does. Certainly, the experiences and events that have happened throughout the game are some of the best I’ve experienced this generation and, sadly, while Uncharted 3 was still a great game in its own right, Uncharted 2: Among Thieves is THE game that I’ll remember when thinking about the series this generation. Probably one of my most anticipated games this generation, Batman: Arkham Asylum delivered a modern take on the Metroidvania genre except in full 3D. Not only did it do that masterfully, but the environments that you explored were nothing short of spectacular. The game’s design really reminds me of Mega Man, if I can indulge this moment. Each area was uniquely themed towards a particular villain and you could easily tell, by virtue of the decor and surroundings, where you were in Arkham Asylum. To top it off, the fact that you got items that would allow you to traverse different parts of the Asylum lent itself to some fruitful and rewarding backtracking, and it’s because of this that the Riddler Trophies were some of the more fun distractions I’ve played this generation. Arkham City had some fantastic ideas, but failed to tie everything together in the process. Riddler trophies, while made more interesting, were needlessly ridiculous in number, the open city format had little interesting things to experience, other than the occasional person that needs saving, and the world wasn’t as interesting to look at. Arkham Asylum is yet another example of what restraint can do to help focus the design of a game. Not every game needs to be an open world game: you just need a good reason, topping it off with the right amount of design, to make things a bit interesting. Of course, the game wouldn’t be THIS good without the presence of three people: Kevin Conroy, Mark Hamill, and Paul Dini. When Eidos announced that these three people were going to be involved in this game, I literally flipped and preordered the crummy Collector’s Edition with the faux wooden batarang that you couldn’t throw. Still, what I got in the game was pure joy, and I was able to become Batman with ease, thanks to its easy-to-learn combat controls and fluid navigation using the grappling hook. 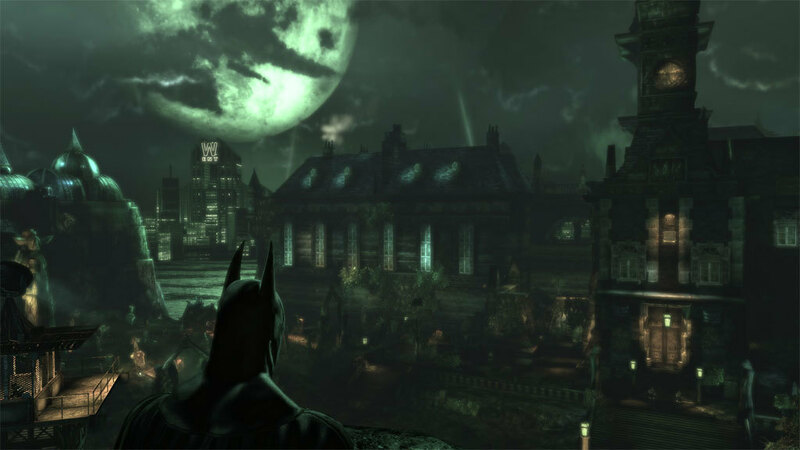 Part stealth, part brawler, part Metroidvania, and part mild investigative thriller, Batman: Arkham Asylum is THE definite Batman game of this generation. Barnone. When it came down to which Bioware game I enjoyed the most from a personal standpoint, it was an easy choice: Mass Effect. Mass Effect was the only game that I played early morning on a Sunday only to realize that it was 5am on a Monday and I had to go to work. When a game does that to you, that usually means one thing: it’s an immersive experience like none other. That, or I needed to get a life. Still, the idea that Mass Effect was conjured up to be this massive space opera a la Star Wars, mixed with explorative elements a la Star Trek, was enough to make me excited when I learned about it close to its release. It’s a game where we were introduced to a new set of species that included the Asari, Hanar, and Volus. We were caught in the pursuit of an evil Spectre named Saren and discovered the mystery behind the Prothean beacon on Eden Prime. Above all else, we saved all of civilization, human or alien, from complete and utter annihilation. What makes Mass Effect the best out of the trilogy for me is the simple fact that RPG mechanics existed heavily in this game. With Mass Effect 2, many of these features were stripped in favor of a more shooter/action heavy game and the shooting was made more accurate, versus random rolls. Mass Effect 3 sought to return some of these features, but never truly matched the complexity of the original. 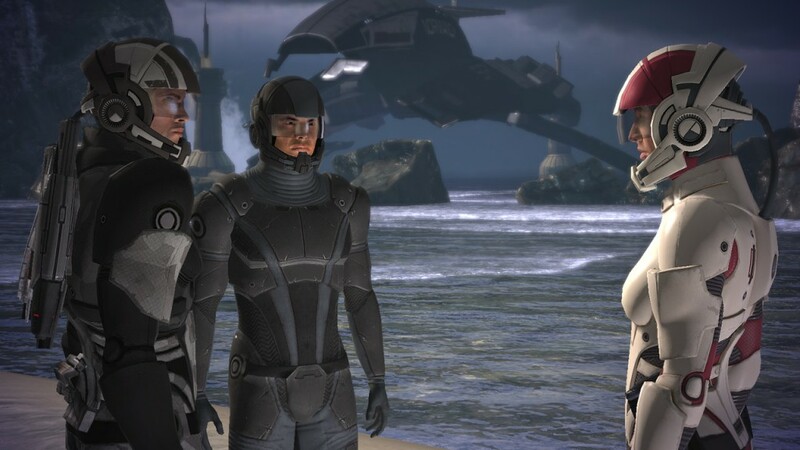 Being able to equip different kinds of armors and augmentations, which then affected your combat and armor’s effectiveness, is probably one of the more entertaining and satisfying parts of Mass Effect that made me truly feel that I was in control of the squad, rather than just being an occasional decision maker when clutch situations came. And I’ll probably be crucified for this, but I actually kinda enjoyed the driving sections. Yes, it’s unwieldy as all hell, but I really got good at it as I played the game multiple times. And just being able to see the scale of the world you’re exploring versus the actual size of your character really helped sell the believability of the world. In a way, seeing how small your character is compared to the size of the overworld made the game seem bigger than what it already was. Which brings me to a point: why Mass Effect is higher on THIS list than Dragon Age: Origins on my Top 5 RPG list that was posted recently. This was a point of contention brought up by some of the crew at Gamer Horizon (surprise! ), but what it came down to is my personal enjoyment of each title. Yes, I enjoyed Mass Effect more than Dragon Age: Origins for the simple reason that Dragon Age: Origins had very uneven difficulty throughout the game, which made it more frustrating to play than it is fun. Dragon Age: Origins isn’t a terrible game, mind, but as far as giving a sense of massive scale unlike any game that came before it, Mass Effect handily wins this for me and, as I’ve already mentioned, it’s unlike any experience I’ve had in video games before. And that, to me, is the defining game of this generation. It has began, anyway nice list. Honorable Mention: Mario Galaxy,Bioshock, and The Orange Box.